As you prepare that service remember what is it is all for. You are creating an occasion for the gathered people of God to have 'the word of Christ dwell in them richly', as Paul would put it (Colossians 3:16). Be careful about where and how you place disruptive elements like announcements and the children leaving for Sunday school. 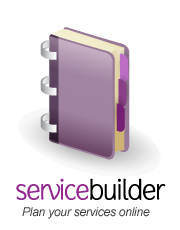 Every service should have an appropriate beginning, middle and end. The simplest structure is to begin with focusing on God by praise and prayer, then go on to hearing him speak to us by the reading of the Scriptures and their exposition, followed by our appropriate response in prayer and song. If you have another shape, that is alright as long as it helps us to really do business with our God in the presence of our fellow believers. When we come together, we need to focus on God and put our distractions aside. The point of the gathering is of course more than just to enjoy the company of fellow Christians!